Complete the form below to authorise a monthly donation to be taken from your payroll. 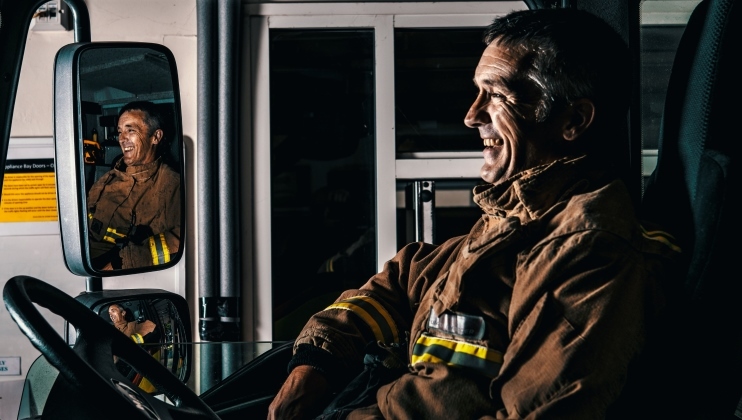 The Fire Fighters Charity can claim an extra 25p from HM Revenue and Customs on every £1 you donate, at no extra cost to you. I am a UK taxpayer and confirm that I wish The Fire Fighters Charity to treat as Gift Aid donations all qualifying gifts of money in the past 4 years, made today and in the future. I understand that if I pay less Income Tax and/or Capital Gains Tax in the current tax year than the amount of Gift Aid claimed on all my donations it is my responsibility to pay any difference. Yes I confirm the Gift Aid statement above. No, I am NOT a UK taxpayer, or do not pay sufficient tax. Are you happy for us to contact you by post? Are you happy for us to contact you by phone? Are you happy for us to contact you by SMS Text? Please let us know what types of communication you are happy to receive from the Charity. Would you like to hear about the different ways you can support the Charity? Would you like to receive news and information about the Charity?